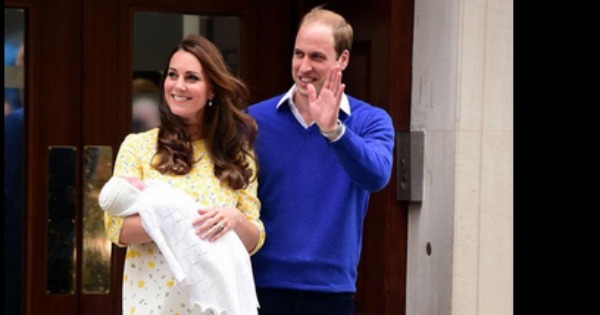 After what seems like weeks of waiting, Royal Baby #2 has finally made an appearance. Yes, that’s right – the Duke and Duchess of Cambridge have welcomed their second child, at 5:34pm 2 May 2014 (AEST). And we have the first photos of the beautiful family right here. Guess what, it’s a girl! The entire world has been on Royal Baby Watch with press, paparazzi and eager fans camped outside the Lindo Wing at St Mary’s Hospital hoping for the first glance of the new Royal Baby. Princess Kate shocked us all by stepping out looking absolutely fabulous less than 12 hours after news came of the baby’s birth. And, as we all suspected, the first photos of the gorgeous new addition are just perfect. 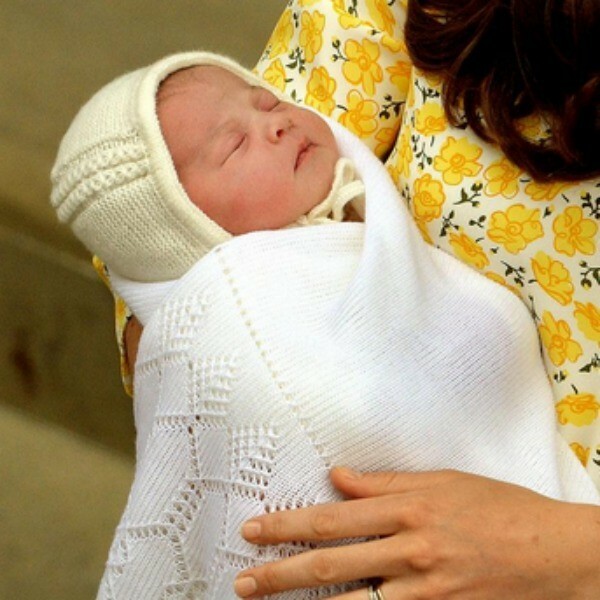 Kate glowed in a bright floral yellow dress and her baby girl matched in a knitted yellow beanie and cosy white wrap. The family happily posed outside the Lindo Wing of St. Mary’s Hospital before taking their new addition home to Kensington Palace. 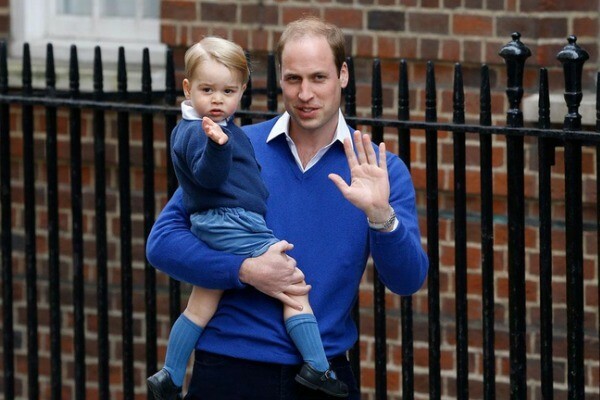 Proud Dad and big brother Prince George donned matching blue cardigans and crisp white collared shirts for the first sibling meeting. Kate is certainly an efficient mum as she speeds through the labour, delivery and homecoming process. Less than three hours after confirmed reports that the Duchess was in early stages of labour, the tweet that the world has been waiting for came through. The Princess weighed 3.71 kgs and was born at 8:34am 2 May 2015 (GMT) and the official Twitter site for Kensington Palace confirmed the news that both mum and bub are doing well. The Duke of Cambridge was present for the birth. The speculated due date for Royal Baby #2 was 25 April 2015, making the Royal Princess fashionably late. Like they did with Prince George, Kate and William will be doing without the services of a maternity nurse in the first few weeks, giving the foursome (or fivesome if we include their black cocker spaniel Lupo) plenty of family time. The new princess will certainly be dressed to impress if she follows in the footsteps of her mother or trendy big brother Prince George, who turns two in July. Check out the incredible pram, clothing and nursery items that the new Princess will enjoy during her first few months. Congratulations to the beautiful royal family on the arrival of the new princess! We cannot wait to hear her name! What do you think the Royal Princess will be named? My money is on Charlotte Diana.